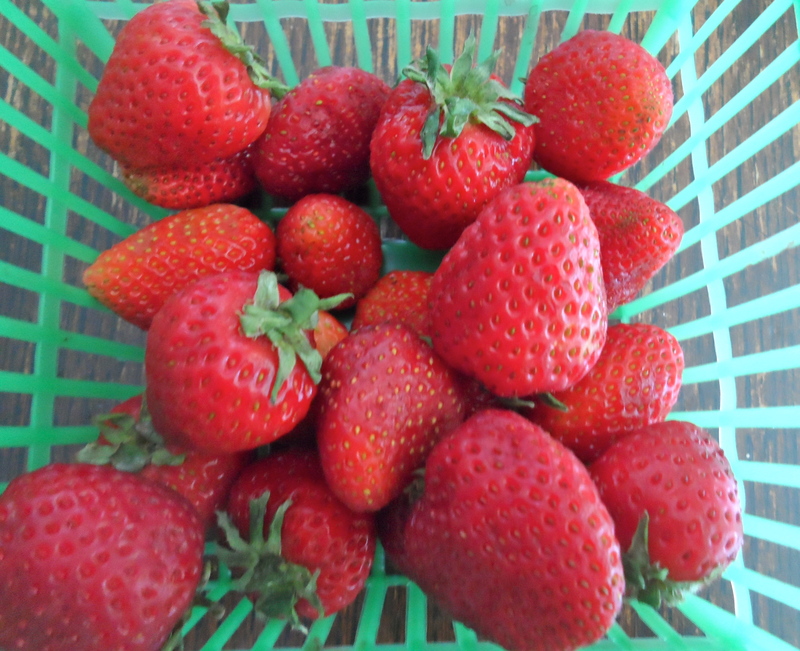 When I went through the double doors of my local grocery store this morning I immediately heard a row of local strawberries, boxed in green plastic baskets, calling my name. They must have been, because I don’t routinely look at the berries in that display. Unless it’s June, and the (too) short strawberry season is here. But, of course, it is June, and there they were. So, berries home, I washed a handful, trimmed off their little green crowns and ate them right up. They tasted like little bundles of jam. There happens to be a small carton of whipping cream in the fridge, waiting to be used. And some butter softening on the counter, next to an orange I was going to eat, but now I will juice and zest it instead. All signs are pointing to cake – with berries and cream falling out from between the layers. But tomorrow I will bring home another basket of berries to eat at lunch, and a couple days later more for muffins. Then a milkshake, and a simple sauce for pancakes, and a few sliced into a green salad with cucumbers and a lemony dressing. There are more ways to enjoy these berries than days they are available… I’ve got to get to it!